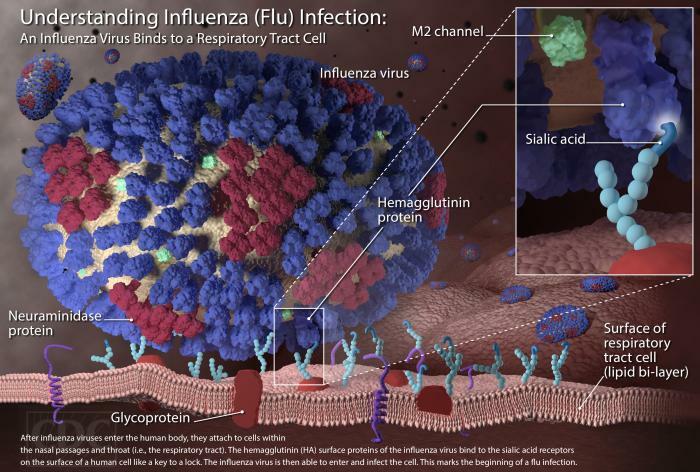 For those of you wondering what influenza’s mechanism of infection looks like, please see the below! Hemagglutinin is the H portion, and neuraminidase is the N – H1N1 therefore refers to the H1 hemagglutinin and the N1 neuraminidase. Both are surface glycoproteins responsible for host cell binding.